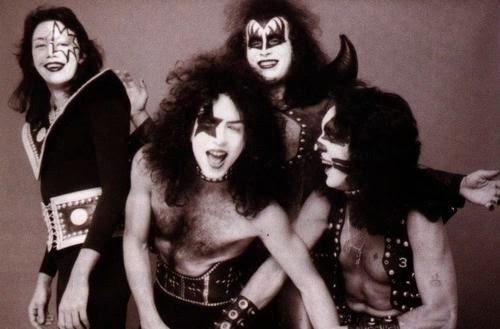 Heavy Rock: Awesome Album Series #1: KISS "Hotter Than Hell"
Awesome Album Series #1: KISS "Hotter Than Hell"
In this new Awesome Album Series I will write about my all time favourite albums. There is only one criteria to be included in the series - the album have to be awesome! 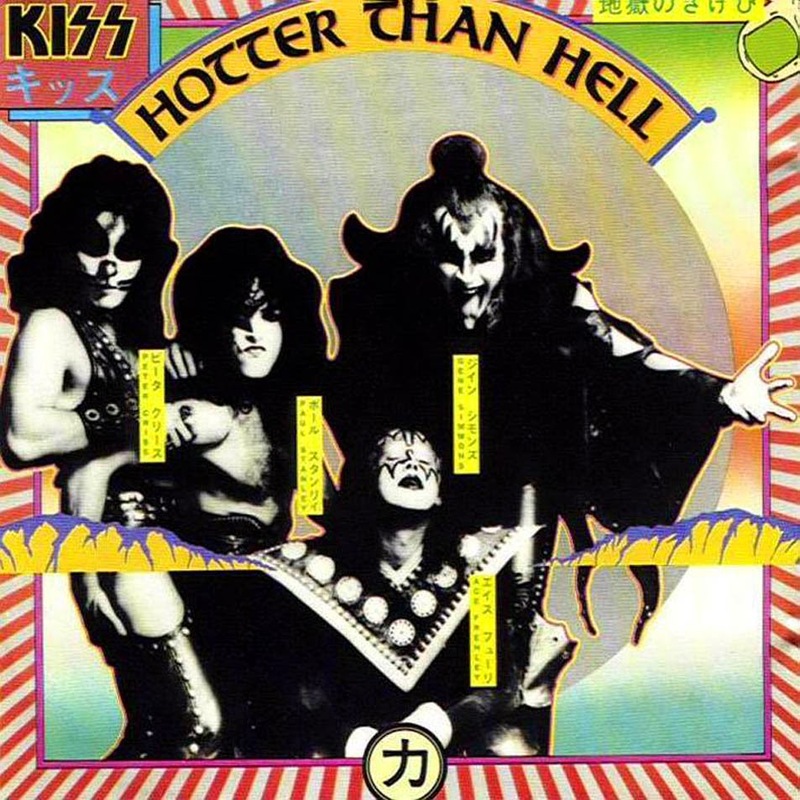 The classic "Hotter Than Hell" album by KISS was released on October 22, 1974 - and it is truly awesome in my ears. Many of the album's songs are live staples for the band, including "Got to Choose", "Parasite", "Hotter Than Hell", "Let Me Go, Rock & Roll" and "Watchin' You". If you are a KISS fan, you know about the PodKISST. 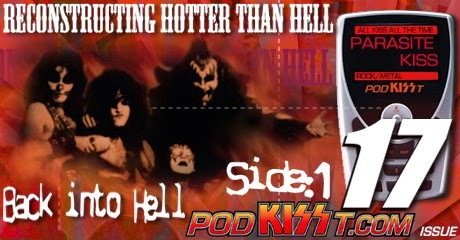 In epsiode #17 they reconstruct "Hotter Than Hell". Listen to the episode here (side 1) and here (side 2). I think the PodKISST episodes are brilliant. If you haven`t listen to it before, now is your time! Every shot of Ace Frehley has his makeup airbrushed into the photo, as he had injuries to one side of his face after a vehicle accident, making it difficult for him to actually wear the makeup. To make matters worse, Stanley’s guitar was stolen on their first day in town and KISS’ record label, Casablanca, were too busy trying to stay in business to offer much hand-holding. Plus, the pastrami on rye at Canter’s Deli simply didn’t taste like the one back home in New York.